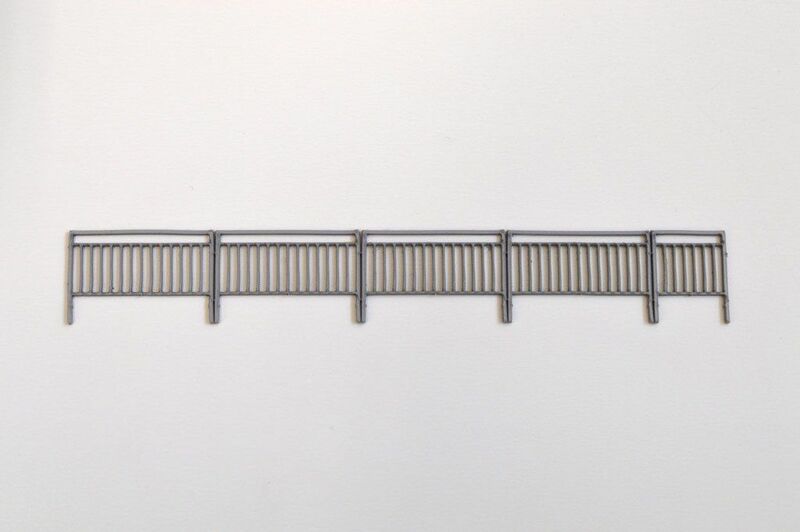 A pack of laser cut silver pedestrian railings with sight gap, of the type seen on the roadside all over the UK to provide a safety barrier between pedestrians & a busy road. They're ideal for use at pedestrian crossings, the ends of footpaths & outside buildings such as cinemas, shopping centres etc on your layout. They have a multitude of uses on any Modern Image layout or diorama. 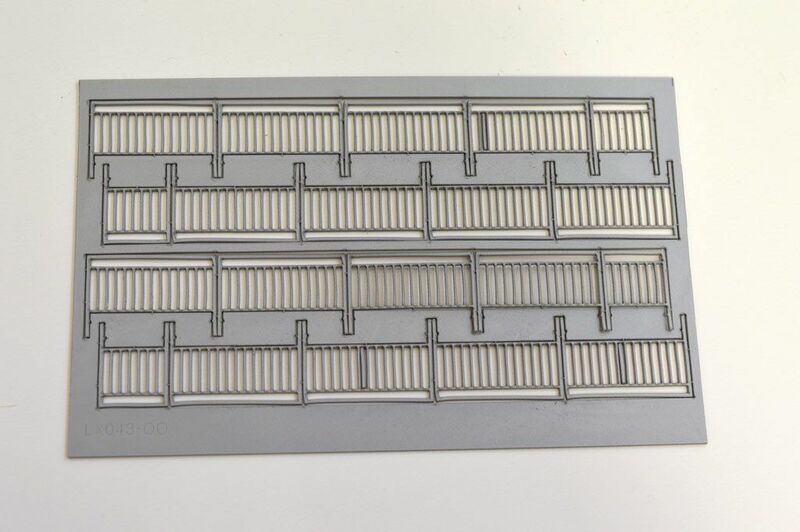 Cut from 0.8mm silver, flexible plastic sheet, these railings can be used straight from the pack or weathered lightly using powders and acrylic paints. 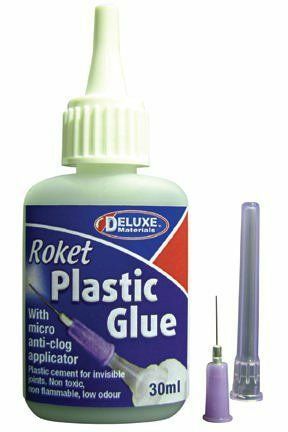 A very versatile kit with a wide range of uses on your OO scale model railway layout or 1:76 diecast diorama. Supplied as a pack of pre-cut railings giving 16 long sections and 4 short sections. Total length 468mm. 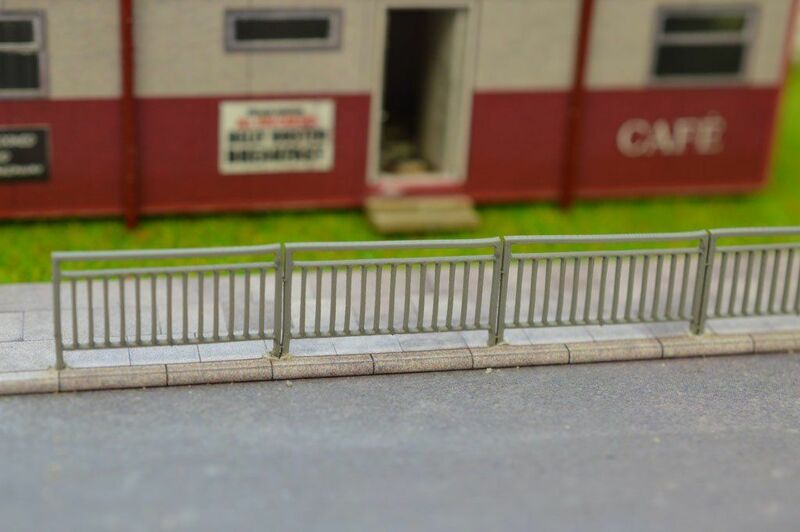 Perfect for any OO / 1:76 / 4mm model railway layout or diorama. 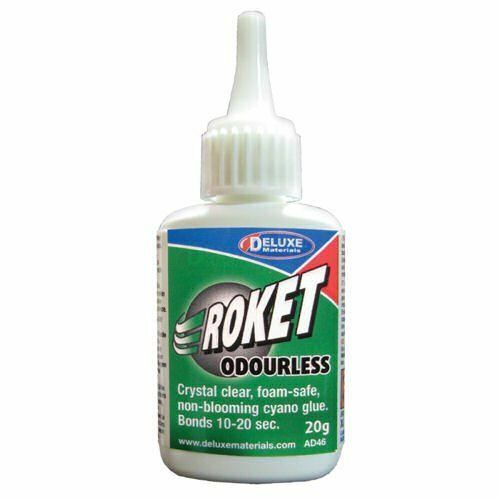 Excellent product, really useful alongside major urban roads. Bit fiddly to fix in place as holes have to be so small and not round. But look really good in place along Modern Bridge.